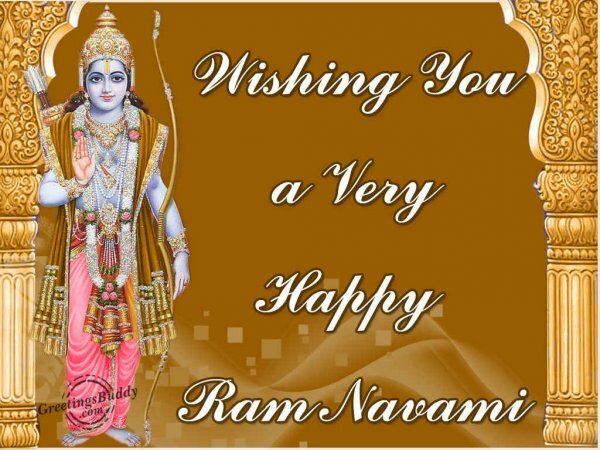 In the month of Chaitra, according to the Hindu calendar, on the ninth day of the waxing moon, the birthday of Lord Rama is celebrated as Ram Navami. 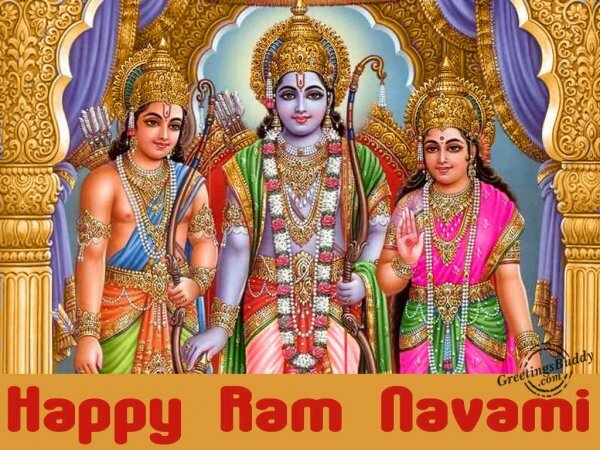 Lord Rama is the incarnation of Lord Vishnu. 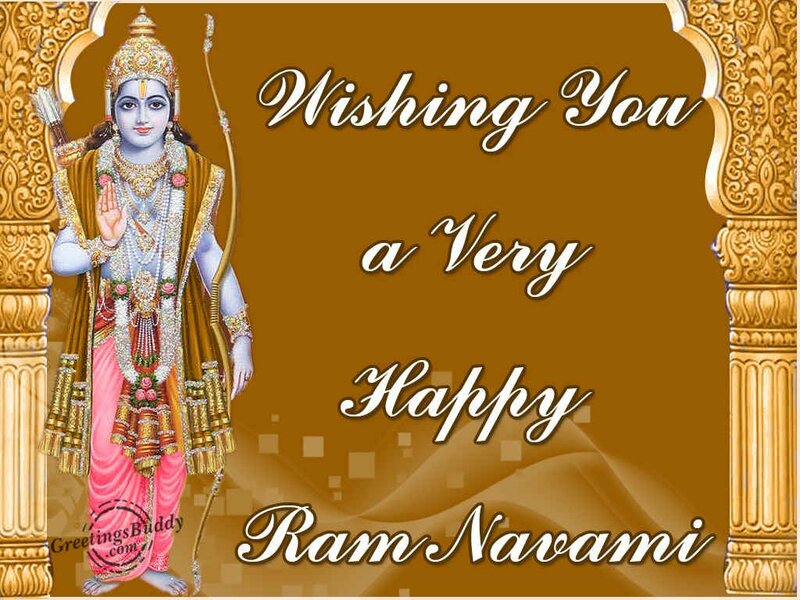 Lord Rama was the king of Ayodhya, who in order to keep his father’s promise went to forest in exile along with his wife Sita and brother Laxman. Celebrations start with	the prayer to the sun early in the morning. During the	mid-day, special prayers used to be performed. 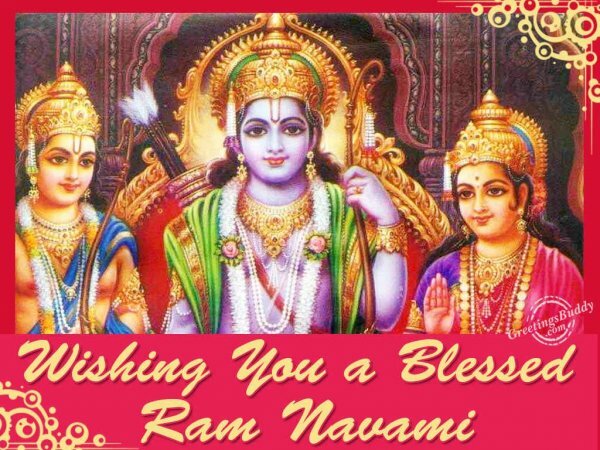 In northern India, Ram Navami is celebrated with pomp and gaiety and several processions	are arranged on this occasion. The center of	attraction of such procession is	a well-decorated chariot where four people dressed as Lord Rama, Sita, Laxman and Rama’s disciple Hanuman sit. 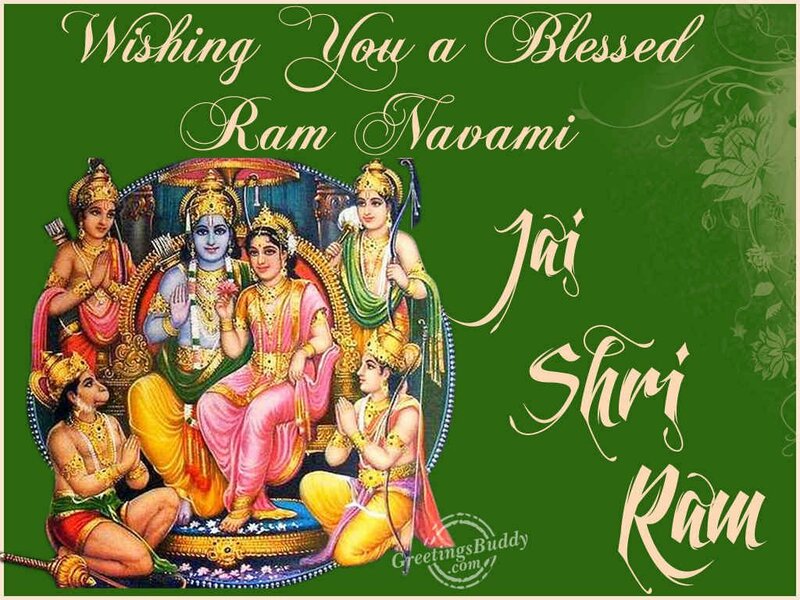 Several other men dress up like	Rama’s	soldiers	and come along	with the	chariot. During the procession, people sing	songs or chant mantras and praise the days of Rama. Rama’s dynasty had descended from the sun so	on this occasion worshipping of sun is also very	common. Through India, Hindu devotees spend the entire day worshipping Lord Rama in various ways. 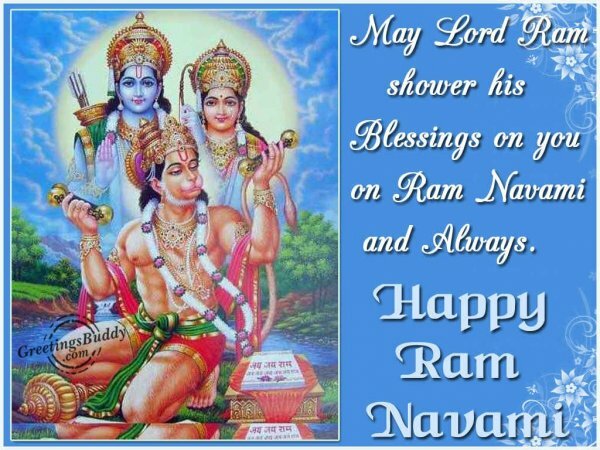 The inages of Rama are worshipped where sweets, flowers, garlands are offered and devotional songs in the praise of Rama are sung, People gather on the banks of Sarayu River in Ayodyaya, the birth place of Rama to take a dip. Some even observe fast on this occasion.